I am a Downton Abby fan. From the very first season I was hooked. 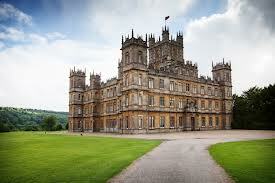 If I had a bucket list, visiting Highclere castle would be on it. I believe I have come to a place where I agree with the sentiment that was shared in the Downton Abby clip above. I can now wholeheartedly say, yes, Isobel, we are the lucky ones.